First off, respect where respect is due - this is an adaptation of the Animal's *How To Ask For New Build Advice* Sticky. I created this because there's a lot of posts nowadays asking for upgrade advice both on here and on the CPU forums, and I feel like we could use a standard format like for build advice. I especially would like to know people's motivation for upgrading before making recommendations because that's very rarely provided in the OP from what I've seen. Read Proximon's *Guide to Choosing Parts*. Also see the Build Your Own section of THG for suggestions. Try to look for the latest Best Graphics Cards for the Money here and the latest Best Gaming CPUs for the Money here. Create a New Topic for your upgrade with a descriptive title, such as "$300 PSU and GPU", not just "Help" or "Upgrading Computer". Do this by clicking the red "Ask the Community" button that appears on this page above this post. Please note that if you're using an OEM license of Windows, you will need a new one when buying a new motherboard. Include a list of any parts you have already selected with descriptively labeled links for parts. Please do not post only links. The easiest method is to paste the label on one line and then paste the link below it. Your all set,great job and thanks for helping out our forum members. Question Not sure what part of the build is lacking. 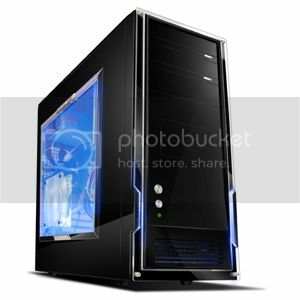 Question What to buy to upgrade my current build? [SOLVED] Finally upgrading after 7 years - is this build solid?